What do Jack Thompson, Quentin Bryce, Malcolm Fraser, Bob Hawke, Maggie Tabberer, and Lindsay Fox have in common? They’re among a growing number of Australians who are working well beyond the traditional retirement age. But it’s not just the rich and famous who are part of this growing trend. 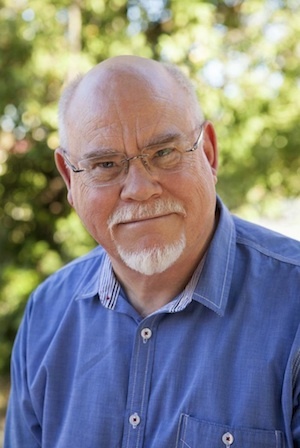 Author and ALA member Darryl Dymock has just published a new book, Extending your use- by date in which he argues that working longer and retiring later is good for our physical and mental health. The idea for the book began in 2009 when, in the course of his work as a researcher at Griffith University, Darryl came across a statistic that startled him. An ABS survey found that 650,000 Australian workers aged 45 plus said they would never retire. It shouldn’t have surprised him. After all, Darryl could count himself as one of the growing number of Australians who had shelved any plans for retirement. Once he started looking around and talking to people – from taxi drivers to farmers, from computer technicians to teachers – he found evidence of the ABS statistic all around him. More and more Australians are continuing to work beyond what we think of as the traditional retirement age. For some continuing to work is straightforward. But for people who have been retired involuntarily getting back to work can be more difficult. A 2006 ABS Adult Literacy and Life Skills Survey found older Australians have lower levels of literacy and numeracy. This can make it difficult for older people to re- enter the workforce. So what advice was there for people who wanted to keep working? When he went looking for books on the topic, Darryl found there was little written about delaying or permanently postponing retirement. Retirement-related books were out of step, assuming that people would be eager to knock off work permanently once they hit their official retirement age. ‘They were all about planning to retire, and hardly any of them had anything to say about planning NOT to retire’, Darryl says. So Darryl decided to write his own book. Extending your use- by date: Why retirement age is only a number is a handbook for people who are considering their options as they approach retirement age. Darryl points out that he is not advocating that people don’t retire. Many are ready for it, he says, especially people who’ve worked in hard or physically demanding jobs. But what’s important is that ‘we don’t head unthinkingly into retirement’. While some people put a hold on retirement plans for financial reasons, Darryl says for many more work provides a sense of self-esteem and connectedness that makes people reluctant to give it up. And given that Australians are living longer than ever, and that people in their later years have accrued a rich bank of knowledge and skills, it makes sense to think twice before giving up work completely. The problem is that if you do retire, and then change your mind, getting back into the workforce is likely to be much harder, so ‘think about it in advance’, Darryl says. Whatever choice people make, Darryl says, there’s an important role for adult learning and community education providers at this stage in people’s lives. ‘Creating courses for older people so that they can keep their skills up to date and make sure they’re up to the mark is critical if people want to remain part of the modern workforce. If people want to do something different, perhaps go into what has been termed an “encore career”, they may also be looking for training that will help them prepare for their new occupation. In the US, some educational providers are experiencing a surge of mature-age workers seeking to re-train’. Mature workers also have much to offer local adult learning and community education providers. ‘As the population ages local communities have the opportunity to benefit from a growing pool of wisdom that could be put to great use in education and training’, Darryl says. 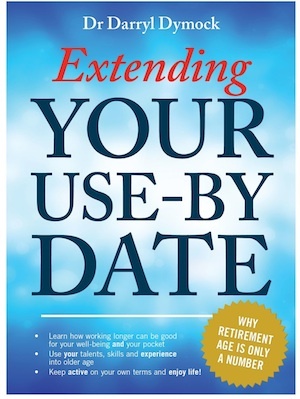 Extending your use-by date is published by Xoum publishing.